I have been looking into lifting my 08 fx4 and I came across the super lift and the rough country. There doesn't seem to be any reviews on the rough country lift kit. So I am looking for info, feed back from anyone who has one. Hmm, wonder when Rough Country came out with an 98+ lift? Superlift was the only lift for a while. Ya I guess it's fairly new as I can't find and reviews for it. I like the price point of a thousand bucks. It just came out and looks to be out of stock already. They are also making a front drive shaft to go with it. Not much info about it right now; you have to wait and see or take the plunge. Hopefully rough country and others will start to make more ranger stuff. I'm pretty new here, why is it that they have a poor reputation? - 12 Degree North had the kits, not sure if they still do ! Rough Country (RC) doesn't have the best rep., but I do like the looks and pricing of this kit ($999.00) vs the SuperLift (SL) Kit ($1250.00). Just prices I found on-line. 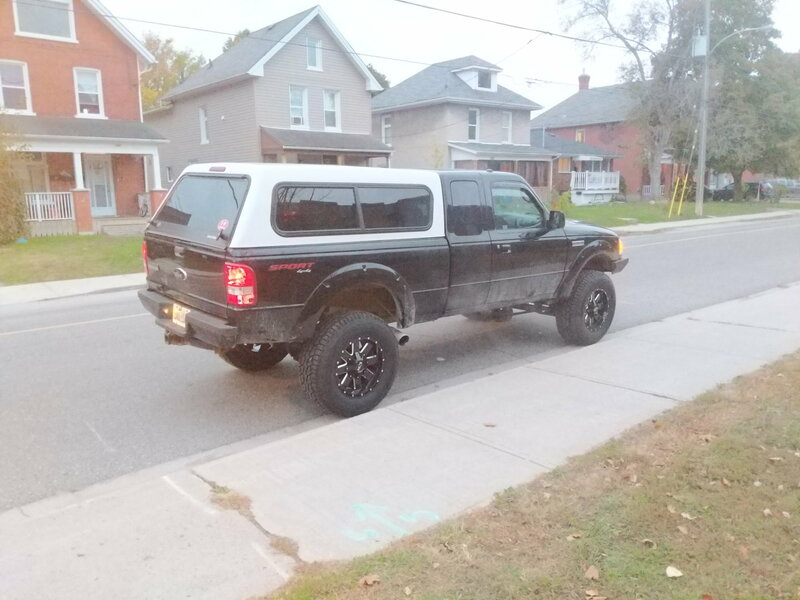 I run the SuperLift Kit with slight modifications and I run 33" but I do not think 35" tire will work, I get tire rubbing on the inside of the wheel well when turning to almost full radius or turning and going over a larger bump. The RC Kit looks a lot like the SL Kit but they have designed it a little differently for looks. 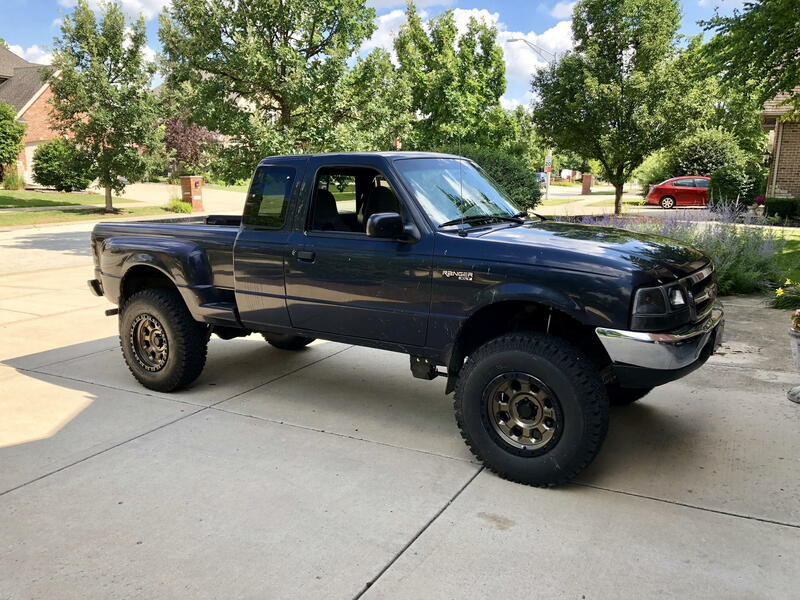 There is a guy n the new Ranger Forum and he is buying it, we will have to wait and see how things turn out but the biggest thing will what type of driving you do... mostly on road and trail riding, then this kit will probably be OK, heavier Of-Roading... I don't think RC or SL Kits will be any better than the other. I haven't seen the Driveshafts yet, but I am running the SL Driveshaft, it works ! (IMHO... I have never seen and/or never used the RC Kit) ! Wish there was a 6"+ Lift, 35" tires would be interesting ! Ya Iam the new guy who was asking about the lift in the Intro section. I was hoping for some reviews but I guess I'll have to make one myself. It definitely looks good just wanting to know how durable and what the effects the rest of the truck. Not doing to much intense off roading. there is a shop near me that seems to have the kit and drive shaft. Then I would like to put 285/75/16 tires and maybe some better shocks. 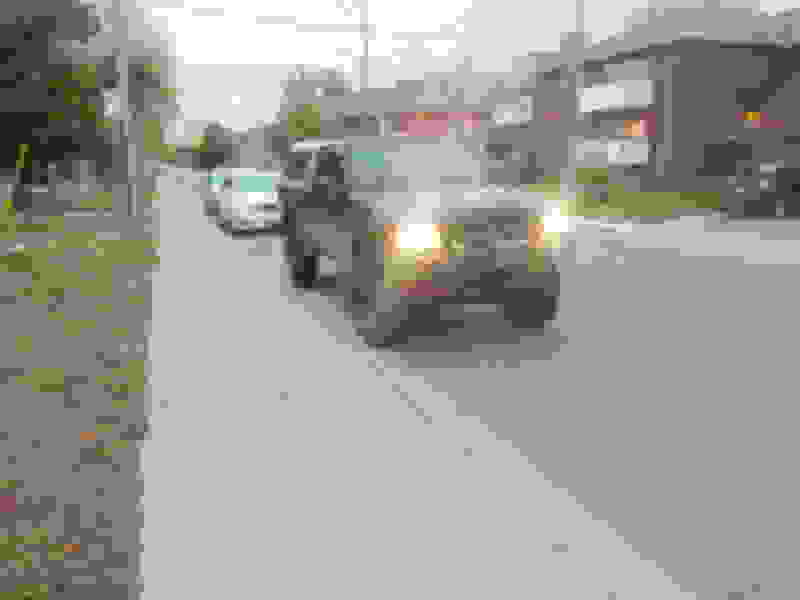 Last edited by Pattmcgroin555; 06-24-2018 at 11:31 AM. My truck has the SuperLift 5" Lift and I run 33 x 12.50 BFG A/T's and have received a lot of good comments about the overall look and the tires fitting the lift. I don't know exactly where the 285's fit in with the 33"x12.50's but think on what UltraHDGames has said. As far as REVIEWS are concerned, check out other kits they offer, maybe an F150 setup might be close enough to get an idea of the company's over-all rating. Also, I read... "somewhere"... that Rough Country had a lifetime warranty, what that really means I am not sure, but if it is real then if anything breaks you at least will get new parts. My only concern with Rough Country is... "Most of their products "WERE" made from thinner metals". I have never seen the New Ranger Kit so I can't say FOR SURE, but the pictures look like the drop supports are stamped steel vs the SuperLift heavy metal construction. That is why I have said, take look at the kit, see how thick the metal is, compare, then start your decision making process. If the SuperLift Kit is heavier duty, then the extra $300 is well spent. Sometimes. looks over function, is a good think but if you are doing Off-Road Driving, strength is your buddy. Also, SuperLift Kit had an Option for a Front Skip Plate, I am sure it isn't made from 1/4" Steel Plate but it does cover up the from mechanicals for the lift so my statement about "looks" may not count at all ! For anyone wondering about the new Rough Country Lift, all of the brackets are made of 1/4" steel and if anything the RC crossmembers are stronger because they are a single piece of steel unlike Superlift's three piece design. 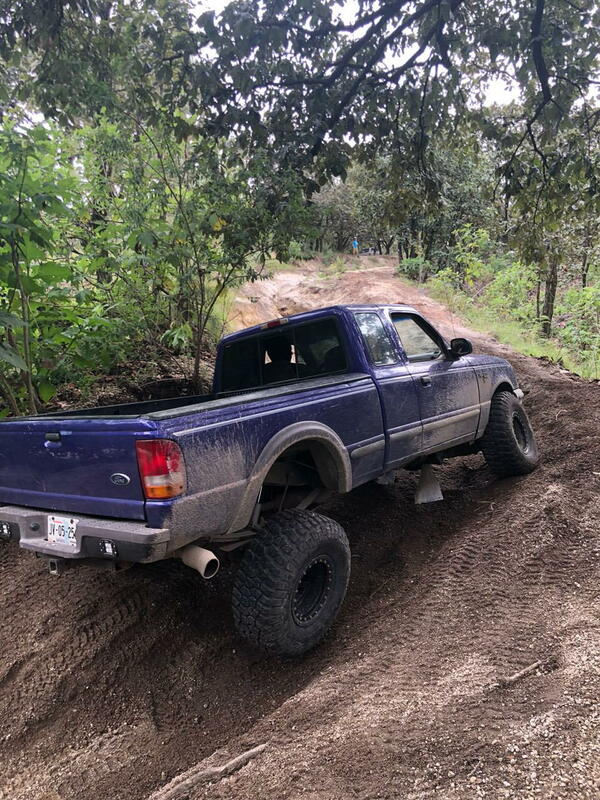 When I called RC I actually talked to the employee that owns the ford ranger they used to make the kit... and he said the kit is super beefy and just as strong, if not stronger than the Superlift kit... Just my 2 cents! Thanks for the info, I wasn't able to locate any information for the kit other than price. I know it looks better than the SuperLift Kit but I wondered about the thickness of the metal ! Sorry to chime in a few months late here but does anyone have any incite to how this kit will react with the 2010-2011 model's advancetrac RSC system? I know Super Lift recommends against running their kit all together. When I called to find out why it was simply because it was untested. Surely someone has said F*** it and gone for it by now, right? the Rough Country kit looks to be fully bolt on and reversible so I might just be that guy at that price point. Yea, there's been a few people who have said screw it and thrown suspension lifts on Advancetrac Rangers. They all end up with message centers lit up like Christmas trees because the center of gravity changes and it throws off the Advancetrac system. Haven't heard much from the 4x4 guys, but the 4x2 guys are reporting drivability issues such as the engine suddenly losing power at highway speeds. The three people I knew that did it weren't active on social media or forums though, so they never talked about how they may have fixed the issue. All three have since sold/traded their trucks. I got confirmation that the parts are made out of 1/4" reinforced steel and that RC does offer a lifetime warranty. The thing is, I want to do the coilover conversion as well. Do I just bite the bullet and be the first test dummy, or get the Superlift and just stick to what we know works? Obviously these are older Rangers, but stumbled upon these guys on reddit. I'm waiting to hear back from them about the overall performance. The only other thing I can think of is with the requirement of getting 17" wheels, I'd for sure need to regear, along with some sort of other upgrades, right? Gearing is just a function of matching the final tire size you choose. The wheels themselves aren't really the issue. Gotcha, just thinking about how 285/75/17s would probably look puny on a 5" lift and anything larger would most likely call for new gears. I came into this thread looking for this answer as well. I'm collecting my parts as we speak, and was going to pull the trigger on the SuperLift at the end of the month but now I don't know which way to go. "The Ranger Owners Guide To Getting A Lift" has been my bible and of course, being six years old, it only mentions SuperLift. The coilover brackets have nothing to do with the suspension lift kit itself, so if you can run them with the Superlift, you can run them with the Rough Country kit. This is basically my Bible. I luv the Sport Grille, I attempted to put one in my '03 and it didn't work. I have the SuperLift Kit with Coil Overs in the front and Replacement lift Leaf Springs in the rear, a lot of parts in the kit I didn't need but I guess good to have just in case. I ended up using a the 750 rated Coils on the front shocks, I was thinking I would add a wish bumper and winch later on and the 750 springs would work better. I could get the numbers if you want them for the shocks/coils ! I added the winch bumper but not the winch and the heavier spring rate still worked out good ! I think it helps in the corners ! 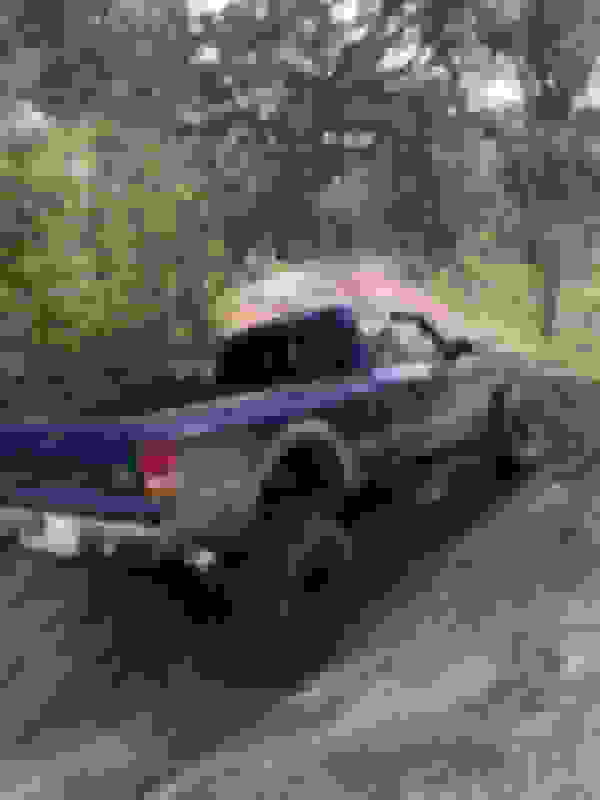 I think my Truck corners better than stock, not saying its a Cobra, or GT40, but it hangs in the corners well, and there is no drift, seem like the whole package is working. One last thing, I used SkyJacker 6" Lift Rear Springs, I think they are for a '95 range Ranger but they work. Something to do with Spring Bolt sizing ! Good Luck on the Coil-Over Setup, get a good welder to do the welding, it is your life and maybe other that are on the line !